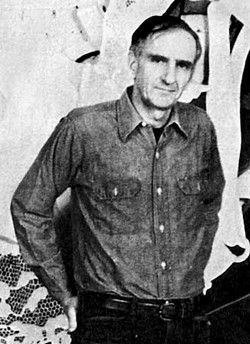 Christo (born Javashev Christo) is best known for producing enormous packaging projects: he wraps parks, buildings, and entire outdoor landscapes. 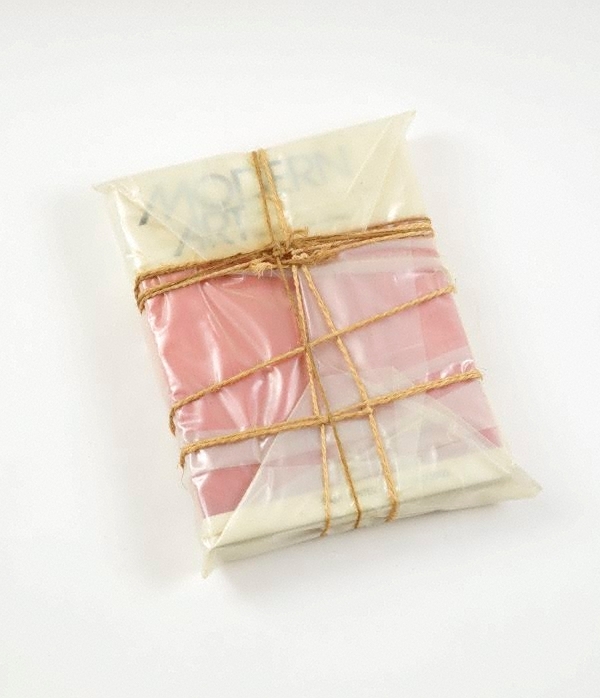 Christo has collaborated with his wife Jeanne-Claude for over 40 years on these projects. 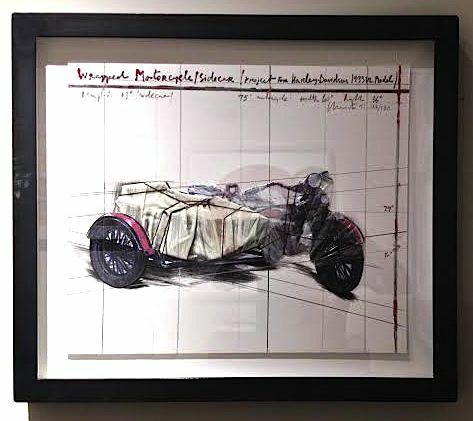 The two earn the huge amounts of money required to execute their monumental works by executing and then selling preparatory drawings to collectors and dealers. 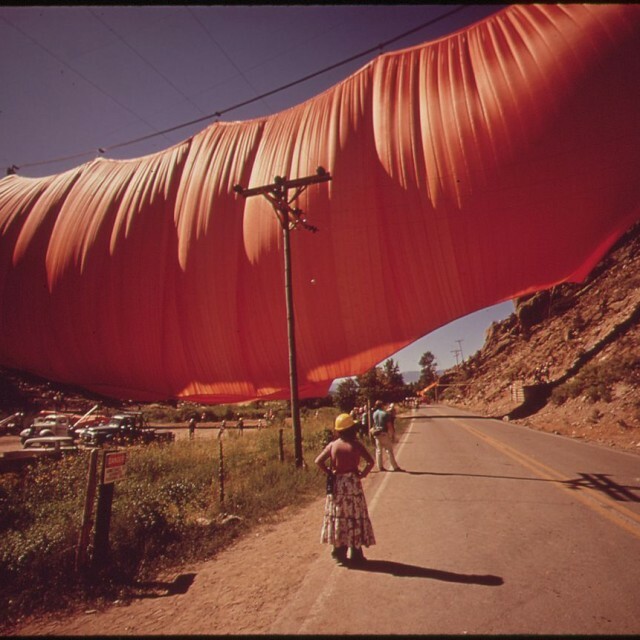 Believing that people should have intense and memorable experiences of art outside the institution of the museum, Christo typically creates temporary wrappings — generally lasting several weeks — on a vast scale. 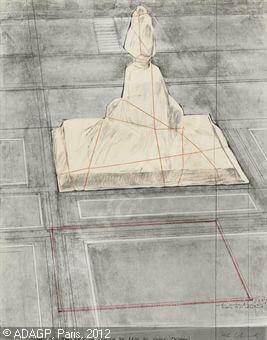 Borrowing land, structures, and spaces used and built by the public (and, therefore, already laden with a history of associations and connotations), he momentarily intervenes in the local population’s daily rhythm in order to create “gentle disturbances” intended to refocus citizens’ impressions. Such disturbances force each local participant/viewer to examine the way that social interaction becomes entrenched in routine and is consequently deadened. 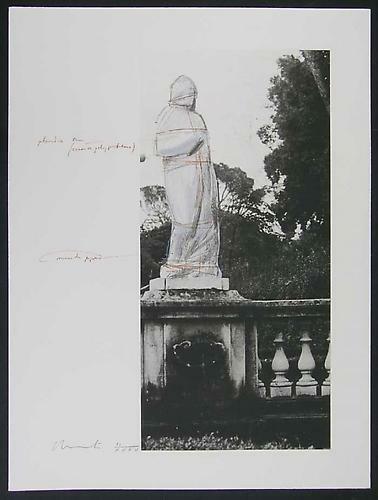 In Christo’s printed and three-dimensional work, Christo wraps an object, challenging the viewer to accurately remember the concealed object and giving it the notion of rarity because it is inaccessible. 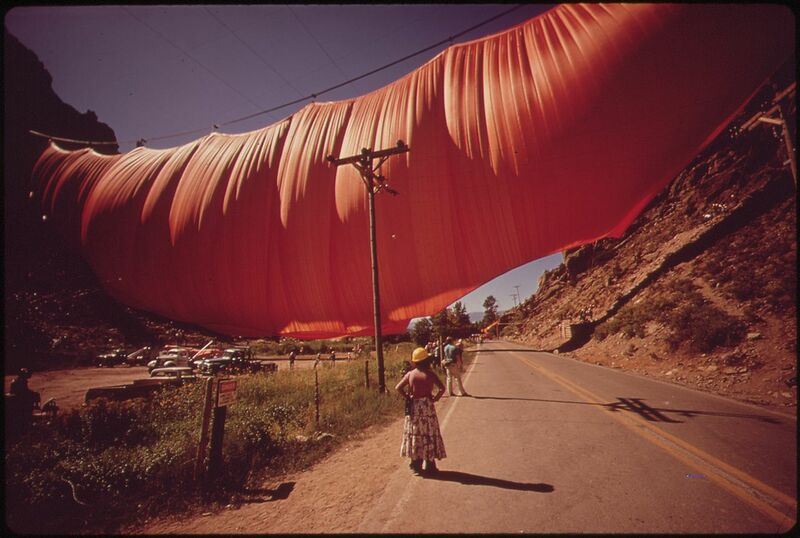 Nine documentary films were made about the projects of Christo and Jeanne-Claude. One of their most famous projects is Running Fence, which they constructed in Sonoma and Marin Counties, California. 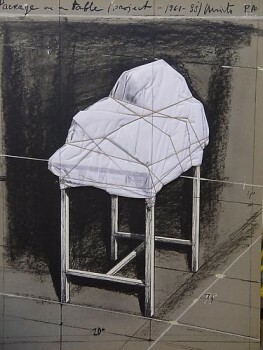 Christo and Jeanne-Claude accept no sponsors, they pay for all their expenses for their projects with their own funds. 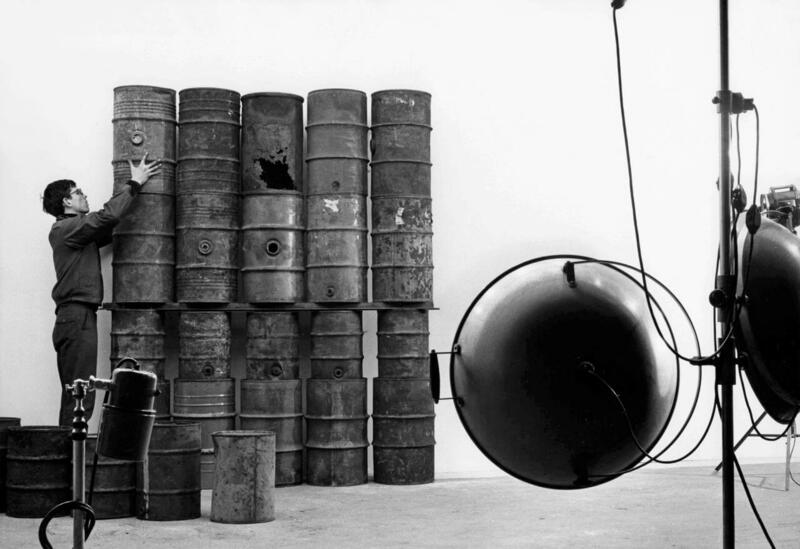 Their work has been included in museum exhibitions in the United States, Australia, Europe and Israel, and are in the permanent collections of the Museum of Modern Art , the Whitney Museum of American Art in New York, the Tate Gallery in London, the Stedelijk Museum in Amsterdam, and the Albright-Knox Art Gallery in Buffalo. 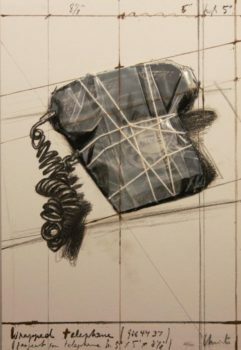 In such installations as Wrapped Coast — One Million Sq. Ft. (a 1969 fabric covering of Little Bay in Sydney, Australia), and Wrapped Floors, Wrapped Walk Ways (a 1971 intervention onto and into a house designed by Mies van der Rohe), traditional aesthetic criteria such as line, shape, form, and color are coupled with the immediacy of nature. Some wraps such as Valley Curtain (Rifle, Colorado, 1972), and Running Fence (California, 1976) are titans of dramatic effect, while others such as Wrapped Walk Ways (St. Louis, 1978) exude a romantic, bucolic, and elegant feeling. Regardless of effect or locale, the extensive lines of fabric running along sidewalks, across lawns, and over walls give the environments a renewed sense of intimacy. Although the sense of enclosure and specificity is temporary, it permanently alters the way people experience a given locale. 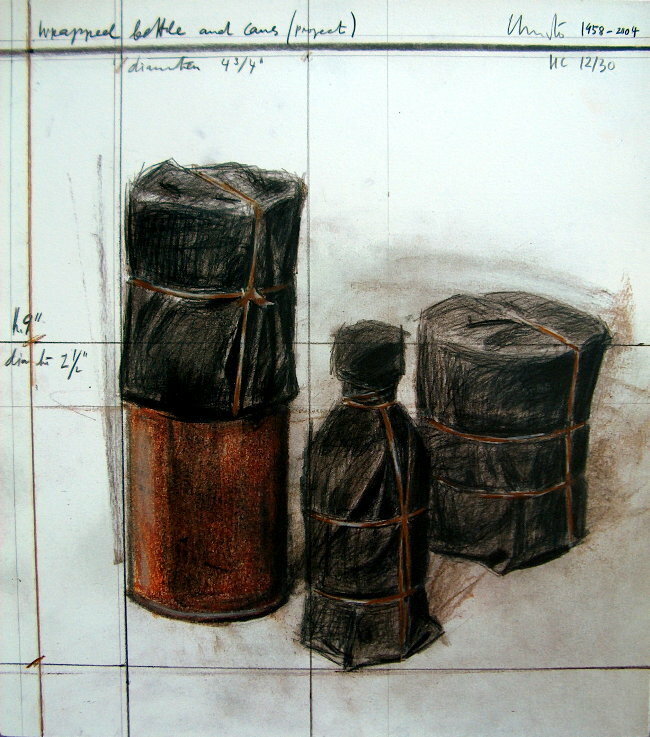 Christo’s interest in both the concealment of three-dimensional objects and a comparison of the qualities of these objects, led him to wrap bottles and cans in resin-soaked canvas.